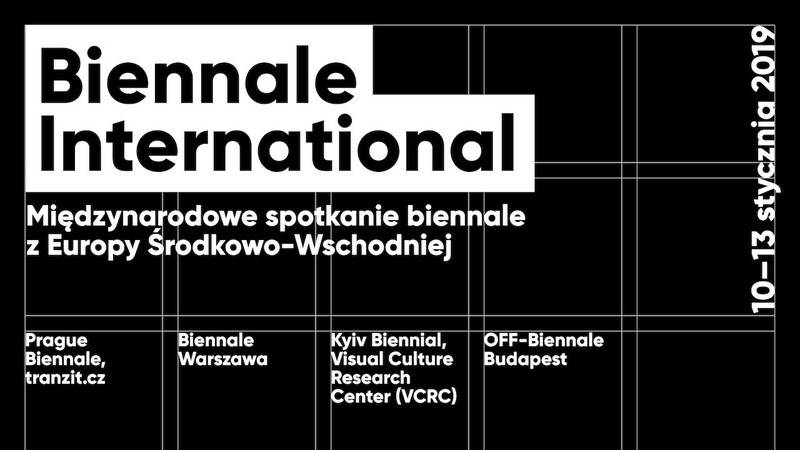 On January 10-13, 2019 in Warsaw, an international meeting will be held, attended by the representatives of biennales in Prague (tranzit.cz / reactivated Bienale Praha), Budapest (OFF-Biennale Budapest), Kyiv (Visual Culture Research Center / Kyiv Biennial) and Warsaw (Biennale Warszawa). Four institutions from Central and Eastern Europe will establish an informal cooperation network and they will present a joint statement concerning the socio-political role of biennale in our region. The forming of the cooperation will be accompanied by an international workshop event and an open discussion panel. Participants of the Warsaw meeting will discuss the role of biennale in shaping new forms of international solidarity, expanding socio-political imagination, developing alternative economic or environmental solutions, manufacturing new institutions of the future or practicing new forms of urban activism.